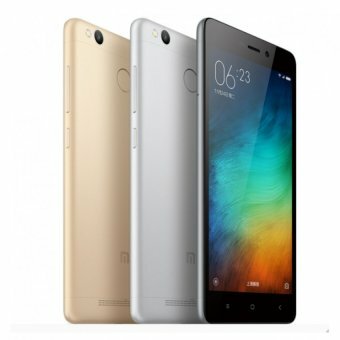 The all-new Redmi 3S features own the market like nobody. There is a lot to offer by this phone and we bet you cannot just ignore it at all. The India launch of the Redmi 3s had taken place back in August along with the pricing and release date details. The Xiaomi brand is very popular in India and it can be assessed from the fact that the Redmi 3S Prime had garnered 90,000 customers in a matter of just 8 minutes. Coming to the Redmi 3S, the presence of a 4100mAh battery and sleek metal body are some of Redmi 3S features that make it worth every dime that you spend. Apart from that, there are a number of user-friendly features on the phone that make it a master of smartphones. It is consists of a 13mp PDAF camera that captures pictures perfectly and makes you click more. The presence of PDAF allows focusing on the object clearly, which ultimately provides a crystal clear picture. This innovation has surely made the versions of Redmi a massive hit in the market. Not just that, unlike other smartphones in the market, the camera of this phone does the calculation at lightning speed and then focuses. Apart from this lovely feature, there is a presence of a number of applications that makes your life relatively easier. Buying this phone is surely going to worth everything. The fingerprint reorganization technology helps you in instantly and hassle freely to unlock your phone. It also works well from the security point of view since nobody else can unlock your phone until the fingerprints incur on the sensor. Even the sound quality of this phone is good and additionally, it allows you to makes adjustments as per your choice and preferences. It also consists of a built-in caller ID that again helps you keep the spam calls at the bay. From a security point of view, this particular feature works like a wonder. It helps in identifying the incoming calls and avoids the ones you do not want to receive. The inclusion of such unique features as if roller menu, which keeps your shortcuts at hand, prompting of frequently, used phase and do more dialers make the experience with this phone one of a kind. The Redmi 3S features are commendable and this phone is absolutely recommended from the budget point of view too. If you are looking for a phone with good features and budget, then this is the best bet.